Ahead of Thanksgiving and Black Friday, if you are looking for a retailer that promises value, Kohl’s Corporation (KSS) could be a good choice. 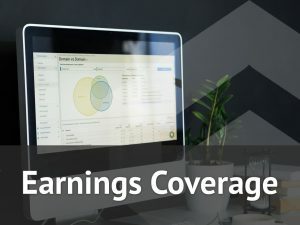 The company has been consistently beating earnings estimates and is reporting third-quarter results on Tuesday, November 20, before the opening bell. The department store chain is expected to post earnings of 96 cents per share on a revenue of $4.62 billion. This records a healthy improvement from the prior-year quarter’s earnings of 70 cents per share and revenue of $4.33 billion. 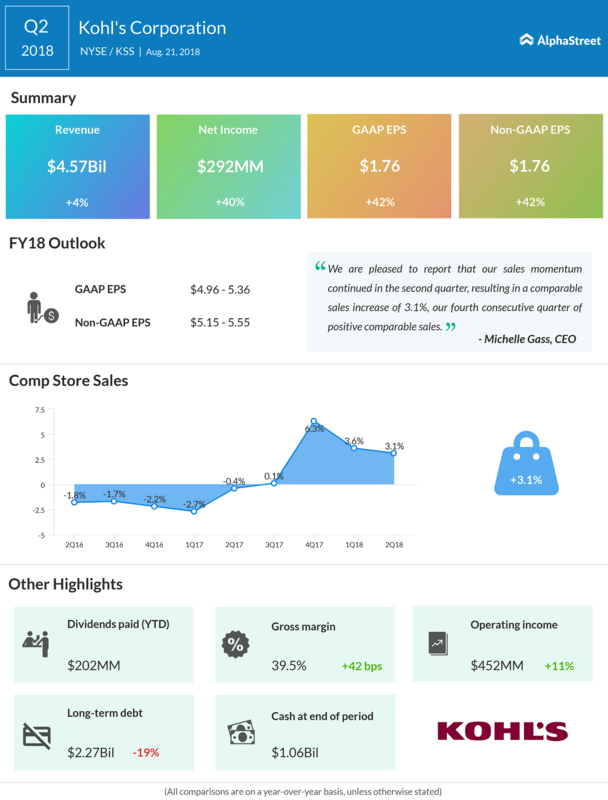 During the second quarter, Kohl’s had reported earnings of $1.76 per share, handsomely beating the market estimate of $1.65 per share. The earnings were helped by a 3.1% increase in comp sales. The company has reported positive comp sales in the trailing four quarters, the best performance pegged at 6.3% during the holiday quarter of last year. Comp sales have lately been boosted by the department store chain’s investments in digital platforms as well as its multi-year plan, Greatness Agenda initiative, launched in 2014. The initiative was launched to boost transactions per store as well as sales. Meanwhile, the company has been aggressively expanding its fulfillment centers to aid online purchases. Earlier in July, it had started the Buy-Online-Ship-to-Store facility to improve store traffic. This is apart from the benefits received from the department store’s partnerships with Amazon (AMZN) and Aldi. Digital sales rose double-digits in the second quarter and investors can expect a similar growth in the third quarter as well. Meanwhile, there has been a steady increase in the costs incurred by the company, primarily SG&A expenses. Hurt by higher IT expenses, SG&A costs rose 4% in the second quarter. In the trailing two quarters, the company had reported SG&A expenses of 3.7% and 7.3% respectively. However, strong comp sales and efficient management of inventory are likely to offset this cost hike. KSS shares have increased 28.5% so far this year. The shares were trading down 1.3% at 1 PM ET on Monday.